Today, we’re talking insurance. At Agoura Dental Group, we are in network with a myriad of plans that each carry a surprising number of benefits. We are in network with HMO plans, PPO plans, and Denti-cal services. The list of PPO plans we work with is extensive. Agoura Dental Group accepts patients covered by Metlife, First Dental Health, Delta Dental, Goldenwest, Anthem BC, Ameritas Connection Dental, Humana, United Concordia, Blue Shield, Guardian, Aetna, Premier Access, Cigna PPO, United Healthcare, Assurant PPO, and many more. The list of HMO plans we are in network with is slightly less extensive, including Deltacare, Goldenwest, Assurant, CDN, and many more. If you’ve got insurance, you’re probably covered for this dentistry office. Whether you need dental implants, a root canal, dental inlays and onlays, or even a cosmetic smile makeover with dental veneers, your insurance plan has the co-pay and our dentists have the skills. You may also be covered for routine and deep cleanings, depending on your plan. Don’t have dental insurance? That’s okay, too! We might be able to offer you our in-house discount plan which will cover your preventative dental care and give you discounts on restorative dental work. Agoura Dental Group has proudly served our community for over 10 years. Our dentists treat patients from Westlake Village, Oak Park, Malibu, Agoura Hills, Calabasas, and some from as far as Los Angeles. Not sure if your insurance plan will cover you for your preventative or cosmetic dentistry procedure? Call us for your complimentary consultation! Have a missing tooth? Unfortunately, the worst thing isn’t the unsightly gap, it’s the unseen health problems that go along with losing a tooth. When a tooth is lost, your alveolar bone starts shrinking away until it gets down to your basal bone, or jawbone. This will eventually result in the lower third of the face partially collapsing due to lack of support, which can ‘age’ a person. This can seem scary, but it’s easily fixable, either with a dental bridge or implant. Dental bridges are one popular option to replace a missing tooth. They involve permanently attaching an artificial tooth to the adjacent teeth, which can involve drilling away slightly at the adjacent teeth in order to attach the artificial one. Prices for this procedure vary between dental offices, but dental bridges generally cost less than implants. Dental bridges last about 10 years, and are particularly successful if the adjacent teeth already have crowns. 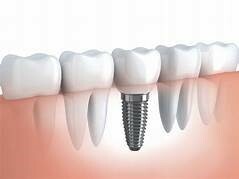 Dental implants are another popular option to replace a missing tooth. They involve drilling into the gum and inserting a screw with an artificial tooth attached to it. Implants tend to be very successful because they do not affect surrounding teeth. Treatment time is longer for implants, but they last longer. With an implant, you can brush and floss normally, as the implant acts as an independent tooth. Both options are highly beneficial to both appearance and oral health. Bridges stop other teeth from moving into the gap, which affects your bone structure detrimentally. Implants restore support and stop the shrinking of your alveolar bone and basal bone. If you are missing a tooth and want the best dental care possible, look no further than Agoura Dental Group. Dr. Choroomi is an expert dentist in the field of dental implants and dental bridges, along with many other areas of dentistry. We serve customers from Westlake, Oak Park, Agoura Hills, Woodland Hills, Malibu, and some from as far as Los Angeles. You can be confident you are getting the best dental care around, so call now to book your complimentary implant consultation! Dr. Choroomi is a native resident of Agoura Hills, California. He studied at University of the Pacific, and went on to become a respected dentist. His practice is a gorgeously remodeled dentistry office in Agoura Hills, located in Twin Oaks Plaza. He treats patients from his hometown, as well as surrounding cities, such as Westlake, Oak Park, Malibu, and Calabasas; some from as far as Los Angeles. Family matters here, which is apparent as soon you step though the doors. Service is friendly, quick, and easy, and the people are lovely. 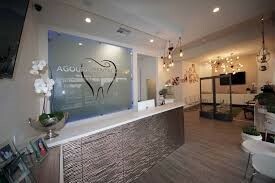 Agoura Dental Group is a state of the art, spa-like practice with family at its heart. If you are looking for an excellent provider of preventative dentistry, restorative dentistry, cosmetic dentistry, or an expert implant dentist, you will instantly find your fit at Agoura Dental Group. Our services also extend to braces, ranging from metal, clear, and Invisalign. Please feel free to contact us for your complimentary consultation. Here at Agoura Dental Group we specialize in orthodontic care. Braces can provide a variety of different treatment to help your smile feel straighter and stronger. With braces being one of the most common treatments used to straighten teeth, we take the time to assure that you are getting the perfect fit for your mouth. This treatment could take between just a few months to years to completely transform your smile, but it is well worth it has it offers a number of health benefits to your teeth. Overbites and under bites as well as crooked teeth can cause discomfort and bad digestion. With the help of our amazing Orthodontist you could be on your way to a comfortable & healthy smile. Where should you start when looking at getting braces? There are a variety of different kinds of braces you could have. Choosing the correct one could lead to a faster straighter smile and a more comfortable process. At Agoura Dental Group we offer several kinds of braces. Metal Braces, Ceramic Braces, and Invisalign are some of the ones you can choose from. These are most commonly seen with children and young teenagers. Depending on how active you are metal braces might be for you. Out of all the options metal braces are the most durable, and can be perfect for someone with an active or sports engaged life. And if you have a more severe case that could result in more corrections, metal braces might be recommended as they can apply more pressure. If you are looking for a more unnoticeable look then research into Ceramic Braces might be the way to go. The colors of these braces are designed to look like the color of your teeth allowing the braces to blend in perfectly with your teeth. Ceramic braces call for smaller movements at each checkup, some say that it is less painful then metal braces. While metal and ceramic braces are used more for structural purposes, Invisalign is used for cosmetic purposes. Create and outstanding beautiful smile that is appealing both before and after you’re wearing the mouth guard. If you live in the Agoura Hills, Oak Park, Westlake Village, Malibu or Calabasas area and are interested in getting your dream smile, contact us at Agoura Dental Group to set up your complimentary consultation with our Amazing Orthodontist.